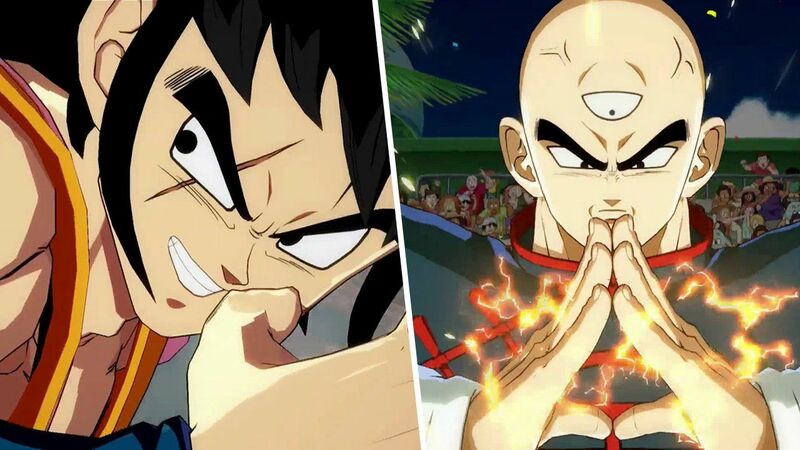 As part of the character trailer series for Bandai Namco's Dragon Ball FighterZ, recently announced characters Yamcha and Tien had their trailers shown at Tokyo Game Show 2017. They show off their signature moves including Tri Beam, and Wolfgang Fang Fist while Chiaotzu assists Tien. A trailer revealing how Goku, Krillin, and Android 18 first encounter Android 21 has also been released. She appears in doctor's garb and tends to an injured Android 18. I played Dragon Ball FighterZ at Tokyo Game Show and very impressed by the way it ran and played. I'm really excited to play more than ever, even if it's a bit disappointing Android 17 and Chiaotzu are not their own playable characters. More than that, I'm disappointed with the alternative costumes being lazy color swaps when each character must have dozens of different outfits throughout the series's long history.